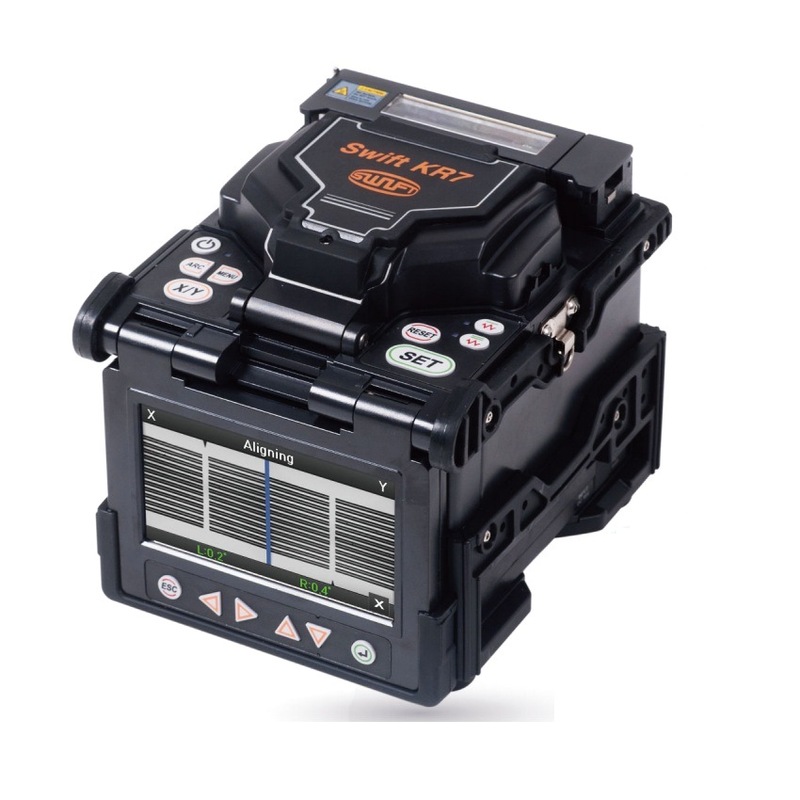 Swift KR7 is the advanced typical ribbon splicer that can proceed the maintenance via internet. And it can take user-friendly GUI for user convenience. Productivity would be increased up to 30% due to a simple & user-friendly design. The dual-heater can work for both Fiber to Fiber and Fiber to Swift Connector. Detects the surrounding environment of temperature, humidity, air pressure and measures discharge calibration rate automatically.